Hi-Rez’s foray into the Battle Royale arena has entered Early Access on Steam. 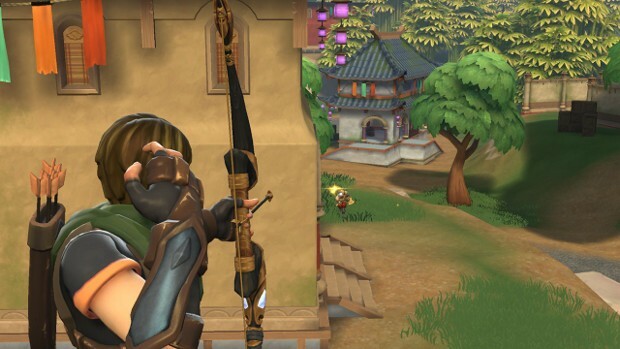 Realm Royale is a Paladins inspired fantasy take on the genre. Like most BRs, the game drops 100 players on a map where they will team up in groups of four and fight to the last squad standing. Players can choose between five different classes to play as — Warrior, Assassin, Mage, Hunter, or Engineer. Each boasts their own unique abilities. For instance, the Mages can fly and throw fireballs, while the Engineers will be busy dropping turrets all over the place. To traverse the maps in Realm Royale, players will be able to summon mounts rather than having to run everywhere on foot. And, be prepared to craft weapons ranging from the normal battle royale fare of guns to fantasy items like staffs and swords. The only problem with these battle royale games is the mundane and laborious constant jumping to avoid. Its stupid and lame, it makes your game play seem preparative to play repetitively. The one flaw that really is annoying and makes you just want to leave unless you like jumping every millisecond then there has to be something disturbing inside.